On August 18, TRON founder Justin Sun put 5,000,000 TRX in Huobi Pool. What’s the good news? Check Huobi Pool’s official announcement for more details. By August 18, TRON Foundation has rewarded all the 121 translators of 33 languages who have participated in Crowdin translation with 170,000 TRX. TRON appreciates supporters’ contribution and welcomes more followers to join document translation. On August 20, TRON started the 10-day countdown for the launch of the TRON Virtual Machine (TVM) official version. At 10 am, August 30, 2018 (SGT), TRON will complete its MainNet upgrade and officially launch the TVM. The TVM will be perfectly compatible with Ethereum, realizing higher speed and lower cost. Developers will be able to start DApp development on the TRON Network using mainstream development tools such as Remix, Truffle and Web3.js, as well as browser wallet plug-ins. 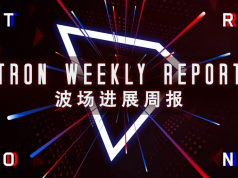 On August 21, TRON published the news about the first developers’ meeting held by TRON’s San Francisco team on August 16. The meeting was held from 7:30 pm to 10:00 pm in TRON’s San Francisco headquarter and had over 60 attendees. The meeting is intended to introduce DApp development on the TRON MainNet, and to reserve possible candidate resources for future TRON hackthons. Together, the attendees reviewed the journey of the TRON ecosystem. Tian Han, the host of the event, briefly introduced the ideas and visions of TRON and illustrated in detail how to develop DApps on the TRON MainNet. On August 22, TRON official WeChat store released new products. Polo shirts will be released soon; necklaces and logo stickers are in production. Stay tuned! TRON products will add more fun to your life! To better serve TRON supporters and believers from Japan, Korea, Spain, Russia, Germany, India and many other countries with project updates and the latest information, TRON encourages more community members to help with our translation task. This year, TRON has held various incentive activities targeting at the global community, engaging a good amount of overseas supporters. Since the MainNet launch is completed and the community has picked up the momentum, TRON has delivered rewards to global supporters who have dedicated to translating TRON documents and contributed to the healthy development of the community. On August 19, the number of Facebook followers of Justin Sun, founder of TRON, reached 600,000, signifying the growing global attention that TRON has received. TRON launched the TVM beta version in July, and is going to launch the official version on August 30, 2018 (SGT). By then, TRON will complete its MainNet upgrade. We welcome global community members to follow Justin Sun on Facebook, which will be an important platform for us to deliver TRON’s technical development and global strategy in a timely fashion. 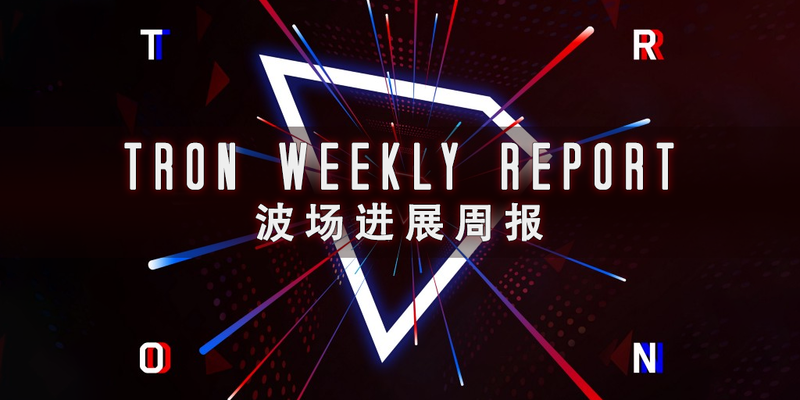 On August 20, TRON announced that CoinExMarket has completed TRON MainNet migration, and has also resumed its deposits and withdrawals services of TRX on TRON MainNet. On August 21, TRON published its first report on team development progress after the BitTorrent acquisition. According to the report, after the acquisition, BitTorrent was merged with TRON US team in San Francisco as TRON’s Storage Business Unit, and BitTorrent will continue to operate its existing product lines. Since the end of June, 16 outstanding colleagues have joined the TRON family, and half of them are experienced tech experts from top Internet companies such as Facebook, Google, Tencent, Alibaba and Airbnb. They will work on Project Atlas and establish a system to improve the currency flow within the TRON Network. In the report, TRON also responded to its employee resignation: the 5 colleagues chose to leave due to their personal career plans or choices. The team wishes them all the best. On August 21, TRXMarket was elected with 112,322,680 votes as the 21st TRON Super Representative that generates blocks. TRXMarket is a decentralized exchange based on the TRON Network, dedicated to providing decentralized transaction services for the TRON community. On August 21, BlockChain.org was elected with 119,129,161 votes as the 22nd TRON Super Representative that generates blocks. BlockChain.org is committed to building itself into the Google of the blockchain industry, providing users with one-stop services including block search, news browse and big data analysis. On August 22, TronSpark was elected with 158,944,555 votes as the 23rd TRON Super Representative that generates blocks. TranSpark is a digital online content platform that focuses on blockchain, cryptocurrencies, and the TRON ecosystem. On August 22, DAPPHOUSE was elected with 109,194,465 votes as the 24th TRON Super Representative that generates blocks. DAPPHOUSE is committed to researching and developing DApps, providing a good solution and display platform for application operation. On August 18, according to Forbes, Justin Sun stated in an interview that one of the top priorities of TRON Foundation is to list TRX on more exchanges. As of 10 am, August 20, CoinTrendz data showed that BTC, ETH, and TRX were the top 3 cryptocurrencies in terms of Twitter mentions in the previous hour, among which TRX ranked 3rd. On August 22, it was announced that TRX would soon be listed on Allcoin and the TRX/ETH trading pair would be supported. Allcoin is an exchange of global cryptocurrencies with industry leading technical strength, committed to providing a secure and free trading platform for crypto investors.